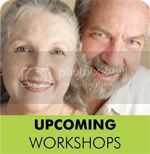 Join us February 21-24 for our next Getting the Love you Want weekend couples workshop. Learn more and register on our website. Just because Valentine’s Day is over, it doesn’t mean that you should stop expressing gratitude to your partner. 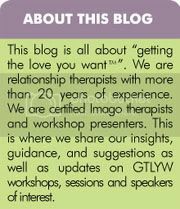 Read what researcher Amie Gordon has to say about the powerful impact gratitude has on our intimate relationships. Re-posted from the University of California, Berkeley Greater Good: The Science of a Meaningful Life. It’s easy to take loved ones for granted. 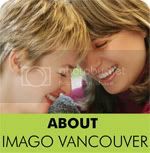 But my research says couples who are grateful to and for each other tend to be happier and are more likely to stay together. Try these four science-based tips to make sure you get the most out of your acts of kindness. It is easy to think about all the nice things our partner will get and do for us on Valentine’s Day. But to make the most of the day, think of February 14th as a day to show your partner how much you care. Studies have found that giving to others makes us happier than spending time and money on ourselves; my own research shows that giving as a way to express gratitude is likely to help your partner see how great you are and want to do something nice to express gratitude in return. By focusing on giving and being grateful instead of on getting, you may find that both of you get more in the end. There is a disconnect between what we want as gift givers and what we want as recipients. Research finds that when we set out to buy a gift or do something nice for someone else, we tend to think that the more money and time we spend, the better our gift will be. But when we think about what we want to receive as a gift, the price doesn’t matter as much—we are most happy just getting what we want. Trying to surprise your partner with something she didn’t even know she wanted might feel more special to you, but to maximize gratitude, it is best to give a gift on Valentine’s Day that reflects your partner’s wishes. If you know that your partner loves the simple things like chocolates and flowers, give your partner chocolates and flowers, even if you think that’s silly and you should buy them something expensive instead. The more your acts of kindness reflect your partner’s wishes and desires (even if they come off an Amazon wish list), the more thoughtful those gifts will be perceived to be—and thoughtful acts promote the most gratitude. Expectations are the bane of gratitude. When people expect an act of kindness, such as on Valentine’s Day, they are less grateful for it. To maximize gratitude on a day filled with high expectations, try doing something unexpected. If you never cook, then make your partner breakfast (if you know that is something he likes). If you don’t like to go out, plan a weekend away. Or surprise your partner with a sweet gift or act of kindness on another day, when expectations are low. But beware: When people expect an act of kindness and don’t receive it, they tend to feel resentful. So if you know Valentine’s Day is important to your partner, it is best not to neglect it completely! Expressing gratitude when your partner does something nice can go a long way toward boosting your relationship—but to really capitalize on the gratitude, it is best to express your thanks in a way that let’s your partner know you are as grateful for them as you are for their gift. Sure you love those striped socks your partner got you. But rather than just gushing over how excited you are to try them on, mention how much you appreciate that your partner knows you well enough to pick out a great gift for you, and how he or she always seems to be so good at getting you exactly what you want. The bottom line: Focusing on your partner—and not just their act of kindness—can help you remember how great they are and help them feel truly appreciated. Send your partner an email or text telling them one reason you are grateful to have them in your life. It covers all four categories!